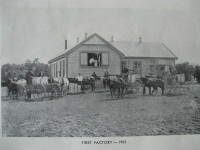 History of the Maungaturoto Co-operative Dairy Co.
Our Heritage: The Stories of People, Lifestyle, Community and Everything else in between from the Kaipara, Northland and other places. From the Past to the present and beyond. Welcome to Back Roads. 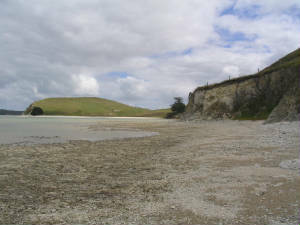 This website is part of the Northland History Digitisation Project beginning with the Kaipara District and now the Hokianga - this project will be on-going. Its purpose is to provide on-line access to local heritage and information that would otherwise be only available in archives or resources other than digital format. Our aim is to provide as much material and research as possible for everyone to preserve it for the future. Special mention and thanks goes to Alan Flower of Maungaturoto who has been a wonderful source of both knowledge and stories. Contributions are actively encouraged. All sources are named and attributed to the appropriate copyright holders and remains with them. Thank you for supporting Back Roads we hope you enjoy the site. Take a look at the next few pages. Read the stories and decide for yourself if our history is worth preserving. Missing Bank Clerks that show up again. An advertisement no-one should ever forget and the story of a man named Charlie and his friend Dancer.Find out how the possums came to Maungaturoto - one yarn that needs to be read. Keep a close watch on this site - we'll be adding more on shortly.